Old McDonald had a farm - E-I-E-I-O! And on that farm he had a cow, horse, chicken, duck, pig, goat - E-I-E-I-O! 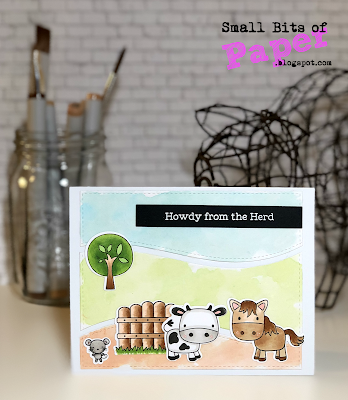 This week, the focus here at Little Red Wagon is farm animals and I'm looking forward to seeing your creations. How you decided to showcase farm animals is up to you. Although cards are the typical, please feel free to add any sort of paper creation that fits the theme! Please link up below so I can find your project and visit you to comment! I can't wait to see your farm animals - and your fabulous creations!